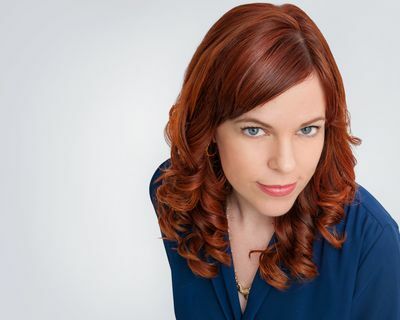 Amy Bruni has been chasing the unknown for over 20 years. Raised in a haunted house with her free-thinking family, she was never taught to fear ghosts but only to seek out and try to understand them. After spending a decade in the health insurance industry, Bruni decided to follow her dreams and turn paranormal investigation into her livelihood. She began traveling the country to visit its most haunted places, researching the group dynamics of ghost-hunting teams, and lecturing on the history of paranormal investigation. Beginning in 2008, Bruni was a staple on Syfy’s Ghost Hunters and served as the team’s historical researcher for seven seasons, during which time she met her ghost-hunting partner Adam Berry. In 2014, she left the show to stay home with her family and start her own business, a boutique paranormal travel company called Strange Escapes. She also writes for her blog, My Spirited Life. The birth of her daughter and the importance of family have brought new value to Bruni’s investigations, putting more focus on helping families try to reach the spirits of their loved ones. When Amy isn’t investigating the paranormal or running her busy travel business, she is scouring antique stores for spiritualist memorabilia or drinking wine. Amy lives in Southeastern Massachusetts with her other half, Jim, their daughter, Charlotte and their dopey basset hound, Zoe.